Another day, another field trip at our house! This time, Faith was off to the North Pole Amusement Park as a special end of the year 5th grade trip that the kids had to earn. She had the option between a regular or a disposable lunch, but I figured she'd rather not have to carry the containers around all day in her little backpack. I used a spare blueberry container, and since she was going to the North Pole, went with a Christmas theme today! 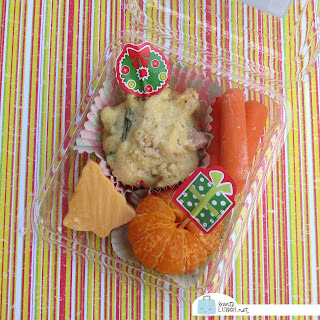 Faith took a chicken and veggie stuffed muffin, a cutie orange, some baby carrots, and some chunks of cheese. 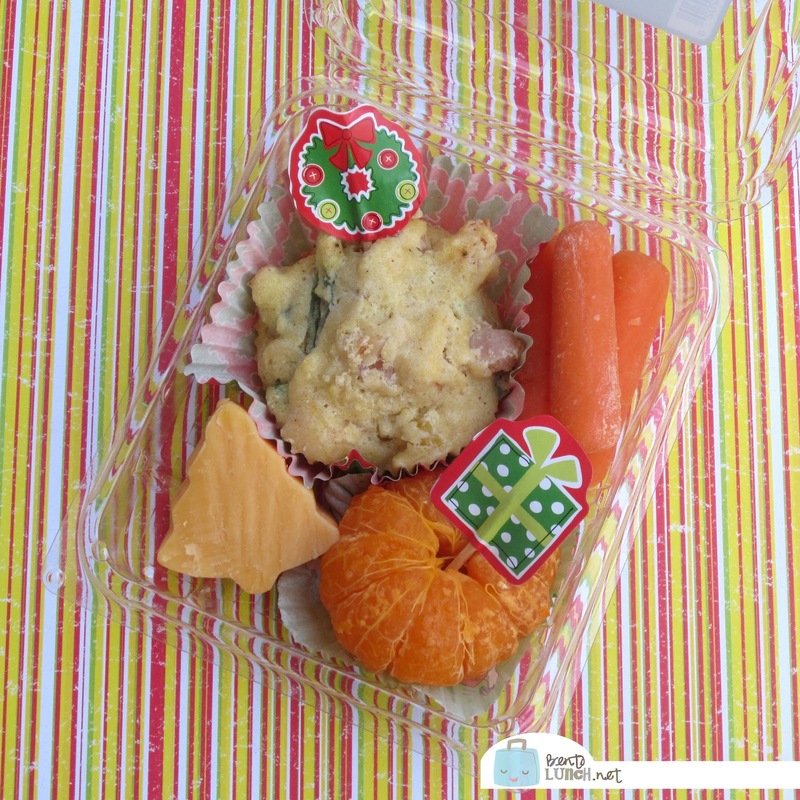 I switched the muffin paper to a Christmas one, wrapped the orange in a second Christmas paper, and used two disposable Christmas picks to accent the muffin and orange. I sliced the cheese with a Christmas tree cutter to keep with the theme, and added yogurt for a bit more protein. Faith also took a bit of extra money for snacks at the park, ice cream was the treat of choice. Such an early Xmas bento :P hehehh nice one!